A man has been charged with seven offences in connection with a series of sexual assaults and threatening behaviour towards girls and women in Brighton and Hove. 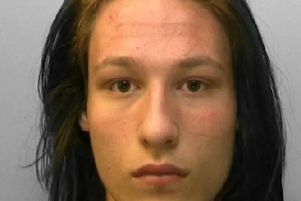 Cameron Dees, 19, of Regency Square, Brighton, has been charged with intending to commit a sexual offence, using threatening words and behaviour to cause alarm and distress, and indecent exposure in relation to three women he is alleged to have followed in Brighton. He has also been charged with three counts of sexual assault by touching and one count of using threatening words and behaviour to cause alarm and distress on four teenage girls. Dees appeared before Brighton Magistrates’ Court on August 17 and was remanded into custody to appear at the same court again on September 6.